Will the Real Red Robin Please Stand Up! Thanks to Auntie Jane for festive nature contribution! 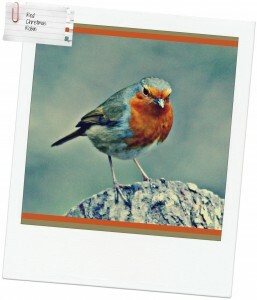 Born & raised in the UK, I had always been confident that “my” Robin (Erithacus rubecula) was the real deal. I’ve grown up with these cheeky little birds in the natural background, noticeable at any time of the year but most conspicuous when the foliage in the garden dies back in the late Autumn/early Winter… What I didn’t know until recently is that, young robins don’t have a redbreast & mistakenly believed that it was only the males who sport the red jacket. Robins it seems, do have a special place in many UK hearts, while they have a reputation for being “tamed”, although this isn’t really accurate & they certainly should never be captured or caged, but they may develop enough confidence or trust of humans to sit on a spade handle; and observe the gardener at work. 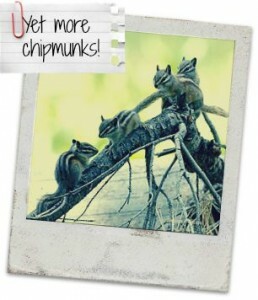 With patience & perseverance they may also come regularly to feed from a hand or mouth. The sentimental affection for the robin however is seriously misplaced, in fact they are probably on a par with the Magpie (except that the Robin doesn’t prey on baby birds), it’s probably just that they look “cuter”. They are notoriously territorial & very aggressive, aiming straight for their opponents heads & can inflict serious damage. Interestingly, males & females have identical songs & both defend their territories separately & equally fiercely. 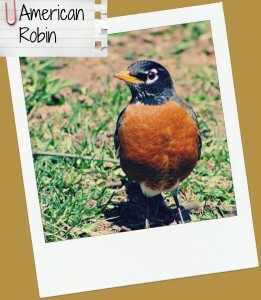 It took a nature loving member of staff at the hotel in New Hampshire to point out the common American Robin to me. I’d seen millions of them (bit of an exaggeration, but lots anyway). They just bear absolutely no resemblance whatsoever to their European cousins, and looks more like a Thrush with a rust coloured breast. While the “real” red robin belongs to a completely different species to it’s American cousin, and in fact it was thought in the past both that they both belonged to the same family , the red robin is now reclassified as a passerine or fly catcher – which makes a lot more sense. Gumby’s granddad Leslie was a nature lover too & most birds were welcome in our family garden (unlike the Magpies!). 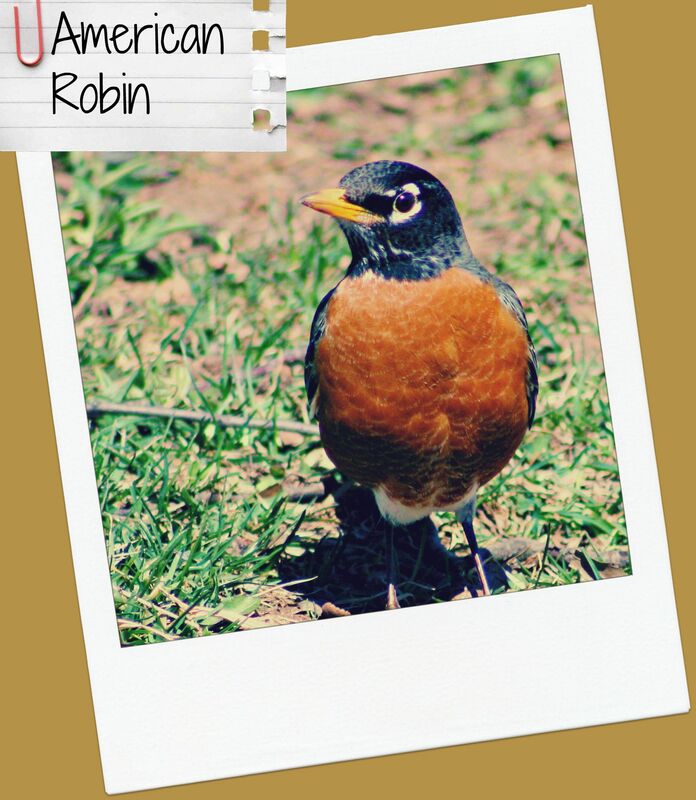 My affiliation for the tiny robin probably grew out of dad pointing out that we shared a common name with the Robin, in Robinson! 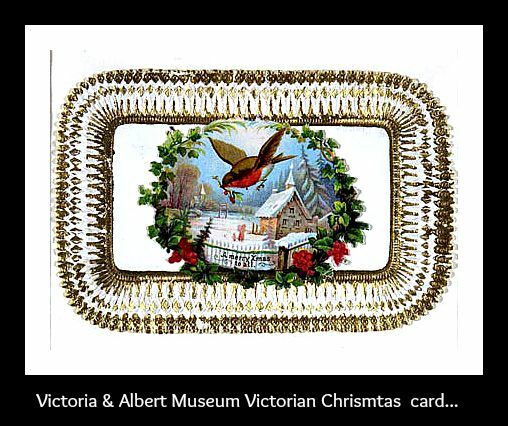 My affection probably was cultivated in the presence of the bird at Christmas on Christmas cards, (a tradition started after it’s appearance in the 19th century); as well as wrapping paper, decorations etc. 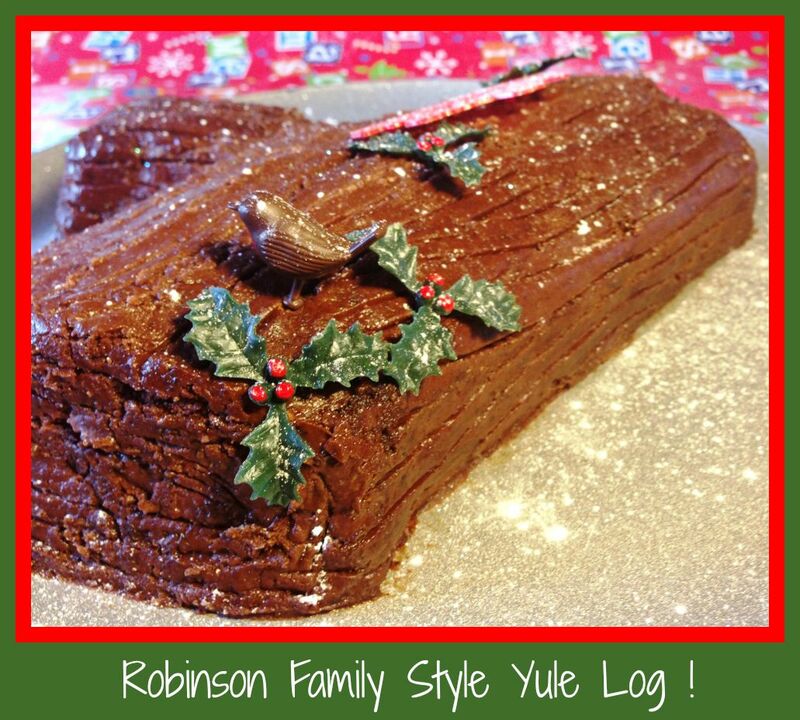 The presence of a little robin & a sprig of holly on the traditional home-made Yule Log, was absolutely essential in our house & normally my job to do the placing of it! It just didn’t taste right without it perched on the ever diminishing delicious cake until the time came to remove it, wash it & put it carefully away in its special spot in the kitchen drawer. If, over the Christmas season you are too full to move, but still have enough room to manage another teeny slice of that “home-made” Yule Log (hope you remembered to put the robin on?!?) why not settle down & have a look at this delightful article from the New Scientist published in 1960!